Prince Charles and this year's other five Reith lecturers discuss what practical measures can be done to keep the world safe for the generations still to come. To mark the new millennium, this year's Reith Lectures are delivered by five different thinkers, each eminent in a different field, all dealing with one of the most pressing issues of our time - sustainable development. In this final lecture, recorded in Highgrove, Gloucestershire, the Prince of Wales presents his own views on the topic in a roundtable discussion with all previous five lecturers; the American scientist Tom Lovejoy, the Indian academic Dr Vandana Shiva, European politician Chris Patten, world businessman Sir John Browne and the Director General of the World Health Organisation Dr Gro Harlem Brundtland. 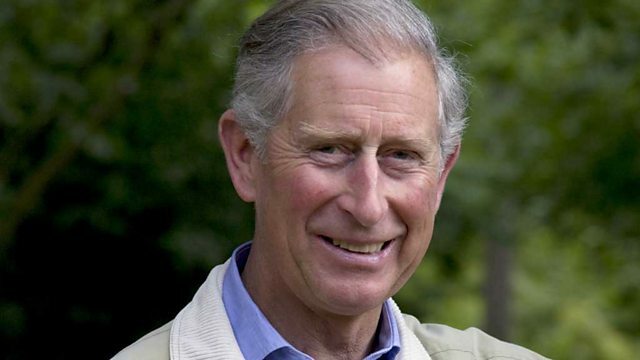 Prince Charles has been publicly voicing his concerns about the environment for decades. He has actively promoted ideas of sustainable development in speeches, through his support for various organisations, and in his own commitment to organic farming at Highgrove. In his introduction to the discussion, he speaks about interdependence and the acceptance of divine limits. He also talks about his belief in the need to rediscover a sense of the sacred in our dealings with the natural world.